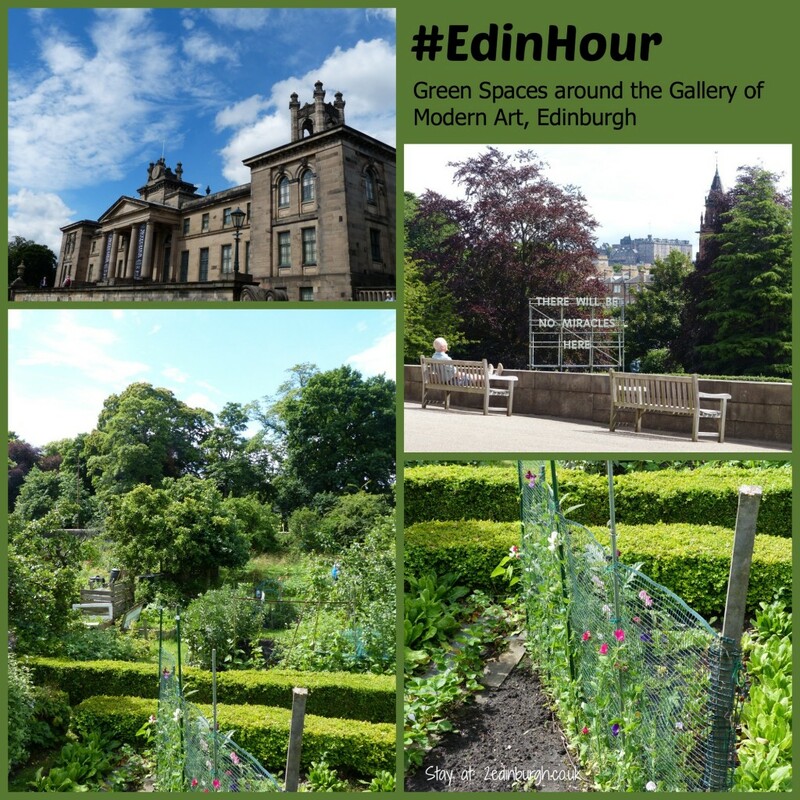 We like to participate in the Edinburgh-centric Edinburgh Hour on Twitter – it’s a good way to connect with others around the city and find out more about what’s going on. 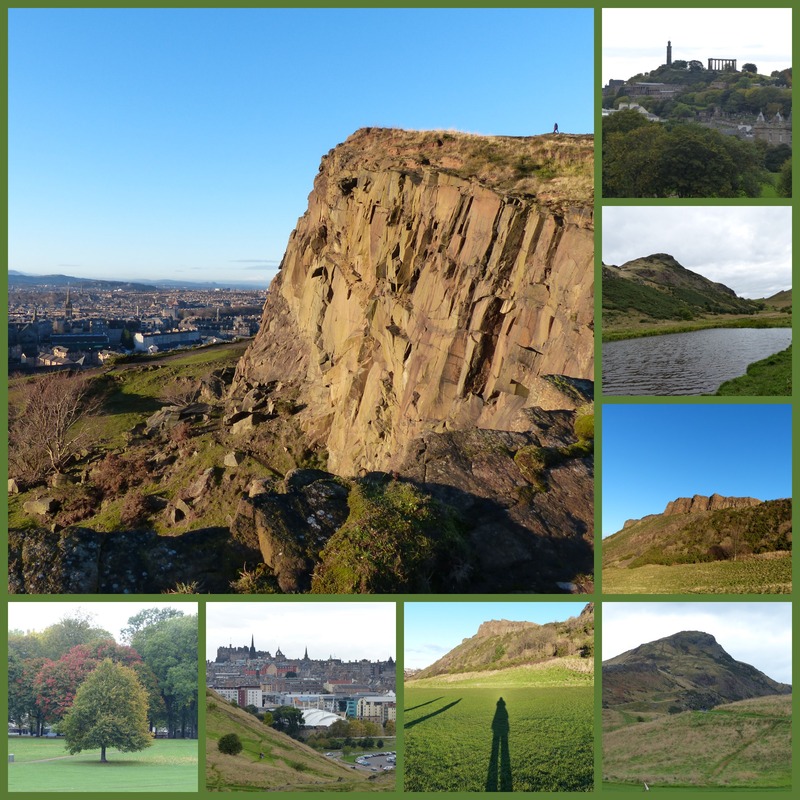 If you’re thinking about visiting Edinburgh, it can be a good opportunity to find out more about local businesses and places to visit or events. There’s a schedule for each month’s chat, and a theme with questions to keep the conversations flowing. 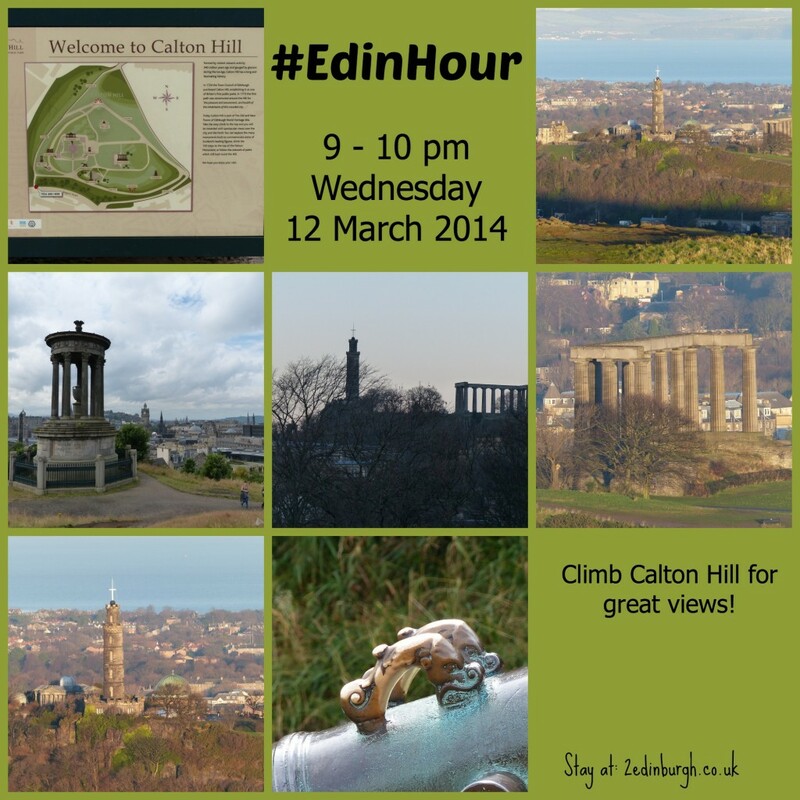 All you need to join in is to tag your Tweets #EdinHour. In March 2014, the theme is Green Edinburgh, and we’ve been taking a look at some of our favourite green spaces in preparation for the chat. Q1. 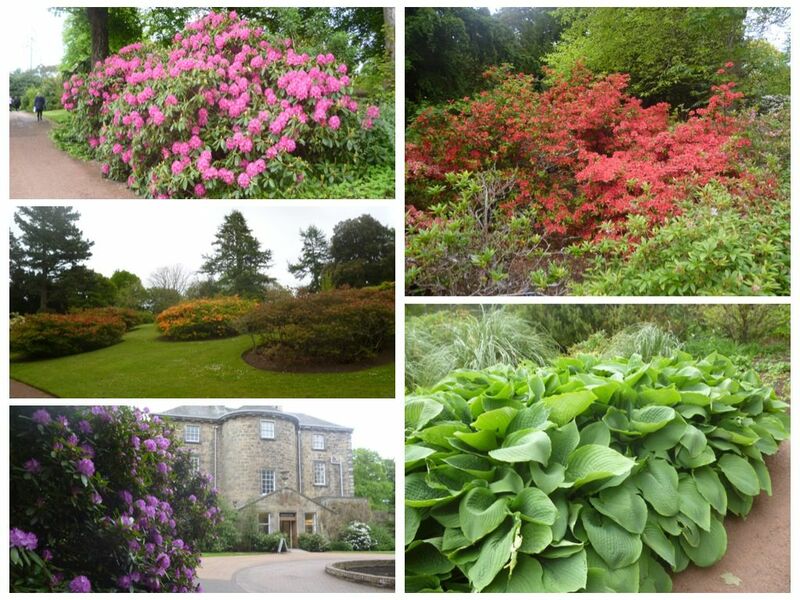 Of Edinburgh’s many miles of traffic-free paths, which one’s best for a great day out, or just getting to work? We like the Water of Leith Walkway, particularly the section between Stockbridge and the Gallery of Modern Art. From the city centre, it’s also pleasant to walk by the Union Canal from Fountain Park. Q2. How do you or your organisation reduce, reuse or recycle, what green measures have you taken? 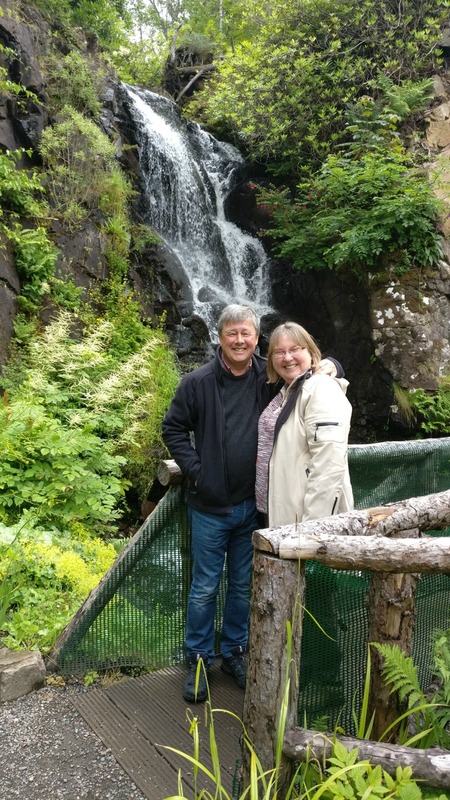 We have a green policy for Craigwell Cottage, and Sandcastle Cottage in Crail. We help guests by providing re-cycling facilities in the cottage as there is no collection from our historic building. Q3. 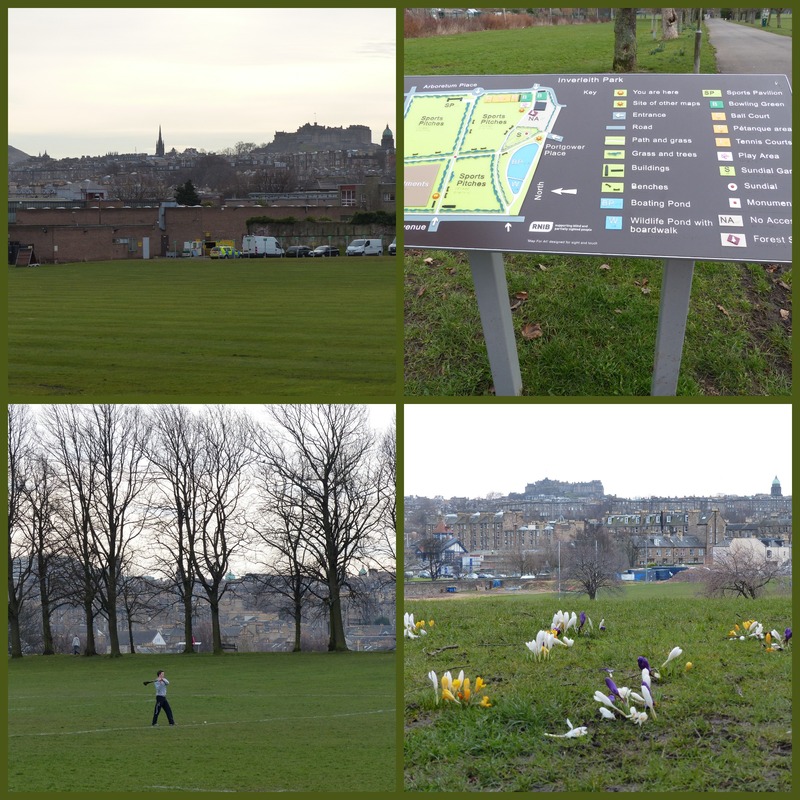 Which of Edinburgh’s 145 parks and many green spaces do you love for relaxing, frisbee throwing or finding a quiet corner to read? Q4. 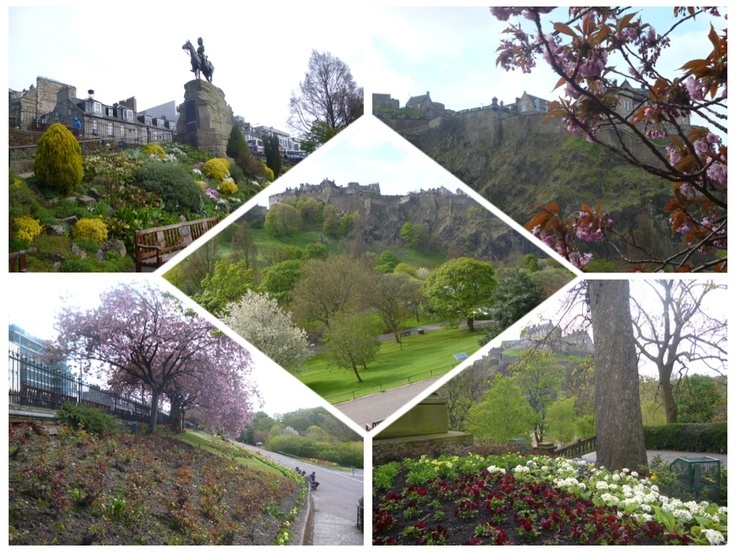 Which environmental projects, big or small, have enhanced Edinburgh and what issues do we need to address in the future? 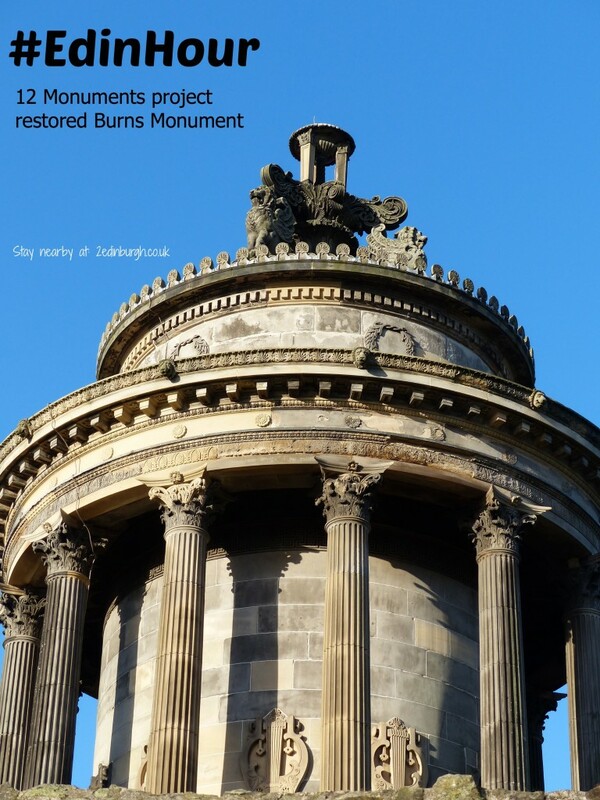 We were happy that the Twelve Monuments Project included repairing the Burns’ Monument on Regent Road as it sits above the garden of Nether Craigwell and we didn’t want it to fall down! We’re eager to see the High School Yards Steps off the Cowgate repaired as they provide a speedy route from the Cowgate up to The Dovecot Studios and the Stag Espresso Café there. We also like the projects which take care of things like restoring street lights.